This post is ideal for those considsering a new Google PPC Adwords campaign for their website or are wishing to improve their existing PPC Marketing efforts. It covers beginners topics to explain what PPC is and why to use Google plus how to get the best from your campaign, whether you choose to employ someone or DIY. This is basically everything a beginner wanted to know about Google PPC Adwords Marketing, but was perhaps affraid to ask and ends with a Top Ten Tips for better Google PPC Adwords marketing! Google PPC or Google Adwords as its officially known as is a form of internet markeing that lets you crate adverts which only incur a fee (to you the advertiser) when an advert to your website is clicked. There are three key differences when considering and/or distinguishing between SEO and PPC. 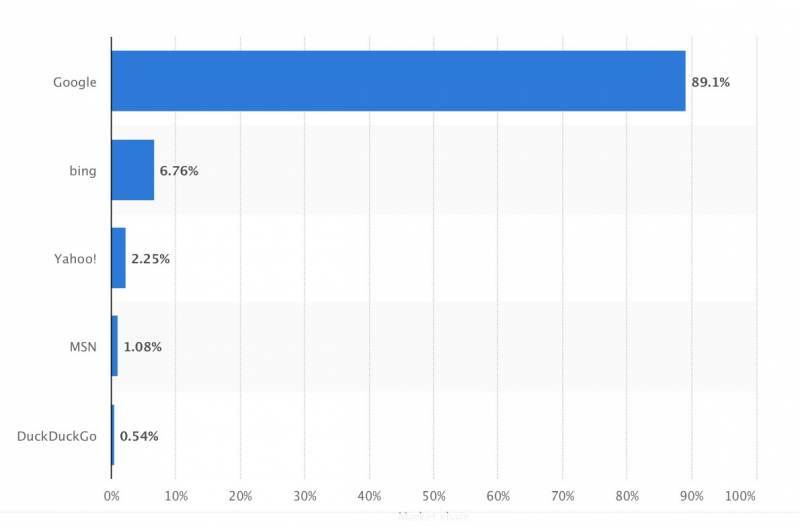 The first is that the PPC/pay-per-click ads appear at the top of the page, above all of the organic listings influenced by SEO. As such, Google Adwords are the first thing your target audience will see. The second however is that traffic from organic via SEO is free, whereas traffic from PPC has a cost for each click. Thirdly, PPC has an immediate effect. SEO is often a mid to long term strategy and with very competitive keywords in very competitive markets this can often be more ‘long’ than ‘medium’ term, depending on the capabiltie of your seo consultant and your budget. However, in most cases, SEO and PPC will often work best when integrated and strategically aligned. Why use Google Adwords & PPC Marketing? Do you want to increase traffic to your website? Do you want more enquries to your business? Do you want more sales leads or even better, actual sales? Do you want to increase these things now and not have to wait several months for SEO? If the answer to the above questions then PPC advertising could be a very worthwhile solution for you, if done correctly. Some people ask marketing consultants as to why they should pay to appear on Google when they can get their website to show up for free? The answer is that in reality, it’s not as easy to drive “free and organic traffic” to your website as you think, hence there is a globally industry to support the practice and no disrespect but most business owners are not competent enough content writers, marketing experts or technically internet savvy enough to make much of a difference. For almost every genre imaginable to humankind there are hundreds locally, thousands nationally and even tens of millions of websites globally that create and serve content to that given genre and Google’s algorithms are designed to only reward the highest-quality sites with organic rankings. When you consider that at this moment in time there is just short of 2 billion websites and a new one is added every second, it takes a lot to stand out from the crowd. Worse still, that crowd is growing by thousands per day. Granted as a small or even micro business operating locally you simply wont ever be competing with the entire internet but consider this, there are only 10 organic places on Google’s first page and 75% of your target audience will never go past the first 10 results. 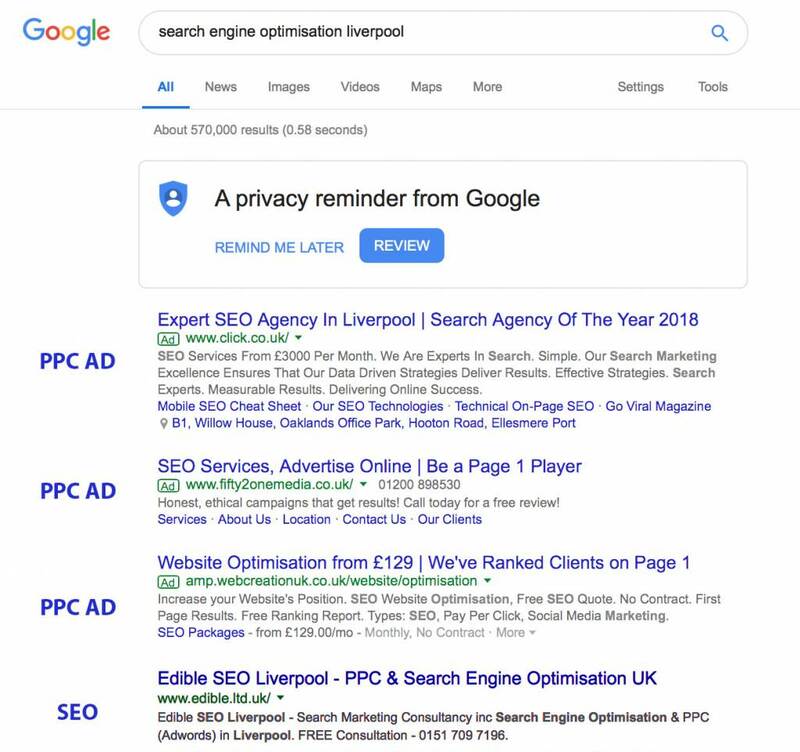 I guarantee that even for any small or micro business that if you do a Google search for any competitors using your best fit keyword, that you have literally a one in a billion chance of not having more than enough competitors to take you to the at least the 5th page of the Google results. Ask yourself this, when was the last time you looked beyond the 3rd page of Google? What are the alternatives to Google PPC Adwords? As with any form of marketing your sole consideration shouldn’t just be focused on cost as cheap PPC, just like cheap SEO, comes with some very big downsides attached. With cheap SEO you risk your site being hit hard by bad search marketing practices and with pay-per-click, such as Google Adwords it is no different and it’s not just the inexperienced newcomers to PPC marketing that you need to worry about as just search online for “Yell PPC Reviews” and see some pretty explicit reviews of the same pay-per-click marketing mistakes you would expect of a novice, but being tabled at a very big name in digital marketing. Back to the point in question, so what are the alternative to using Google Adwords? Yahoo and Bing offer a like for like search marketing set up as Google and whilst your cost per click (CPC) maybe lower with a like for like ppc campaign with Bing, it is crucial to remember that Google accounts for far more search traffic than Bing and Yahoo. In other worlds, with Google accounting for 89% of the UK search engine market, to Bing’s 6.76% and Yahoo’s 2.25% as at 2018, it goes without saying that whilst in other markets around the globe there are better suited search engines, in the UK Google runs supreme and offers 10 times the market share of Yahoo and Bing combined. On the flip side you can argue that by solely focusing on Google you are missing out on 10% of the search market and with Bing and Yahoo generally offering better value for money, by choosing Bing and Yahoo in addition to Google pay-per-click, you will maximise your exposure. As such, Yahoo and Bing are not really direct alternatives to Google at all and perhaps only Social Media pay-per-click adverts on the likes of Facebook can offer a viable alternative to Adwords, for certain (shall we shall younger) segments of consumers.